Easy no-rise soft, buttery quick cinnamon rolls made in UNDER ONE HOUR! Yes, you read that. No overnight rise! 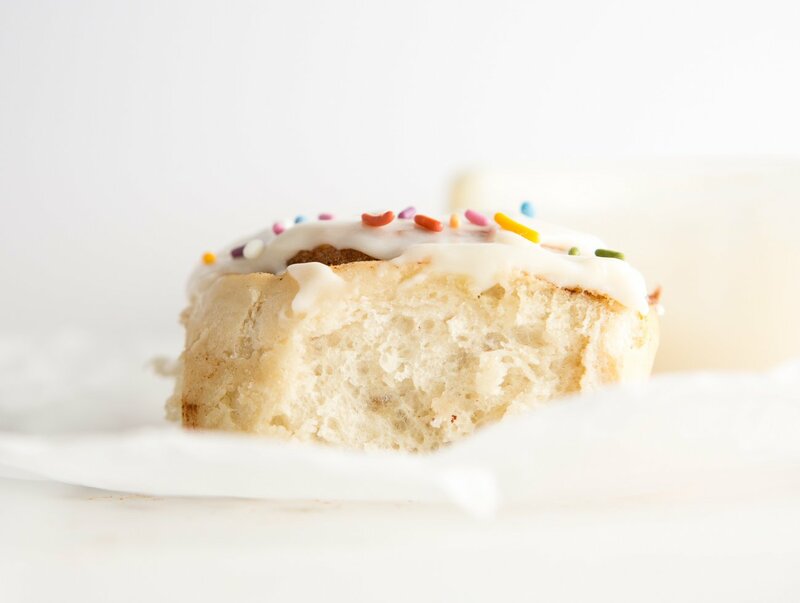 Made in a 9×13 pan and yielding 12 cinnamon rolls, these make for the perfect weekend treat, special birthday mornings, or neighbor thank you gifts! 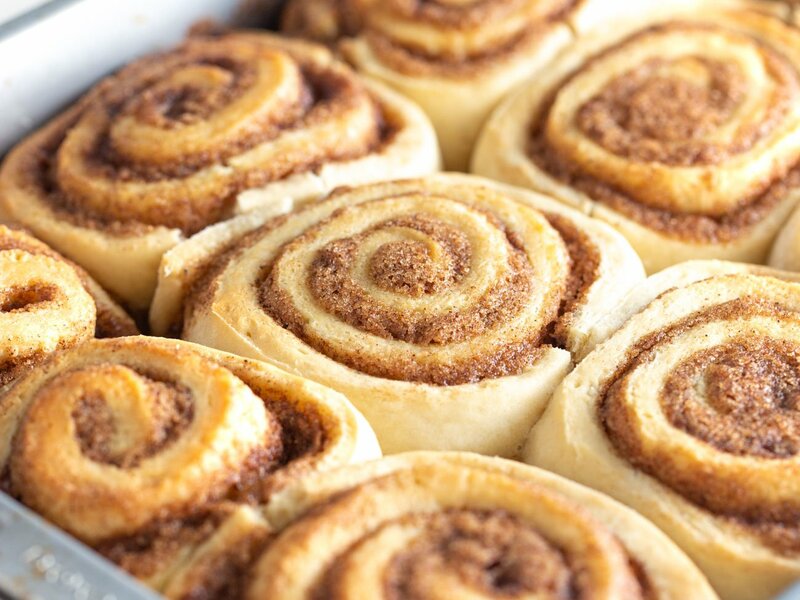 What makes these 1 hour cinnamon rolls so perfect? 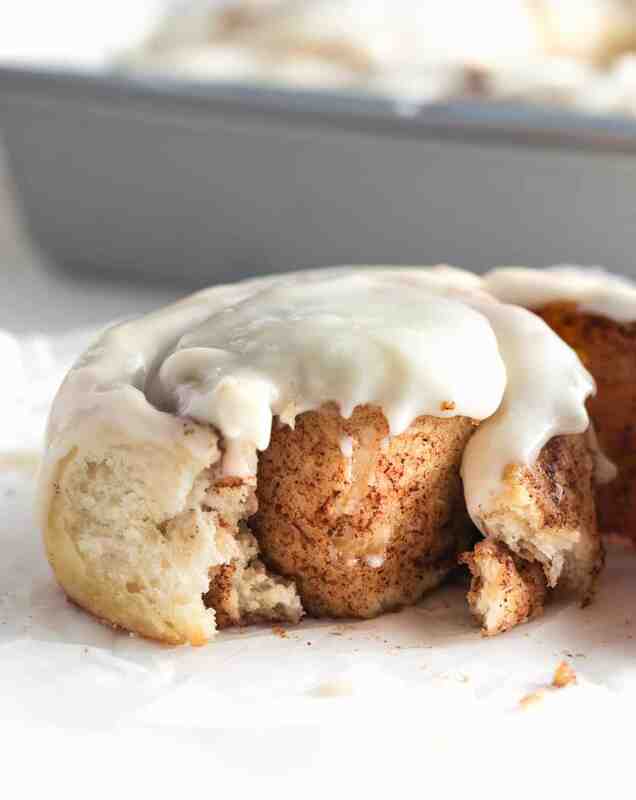 You can make these quick cinnamon rolls in under an hour, start to finish. Yes that’s right; wake up at 9am and be devouring warm cinnamon rolls by 10am! No need to prep ahead of time or make the night before! 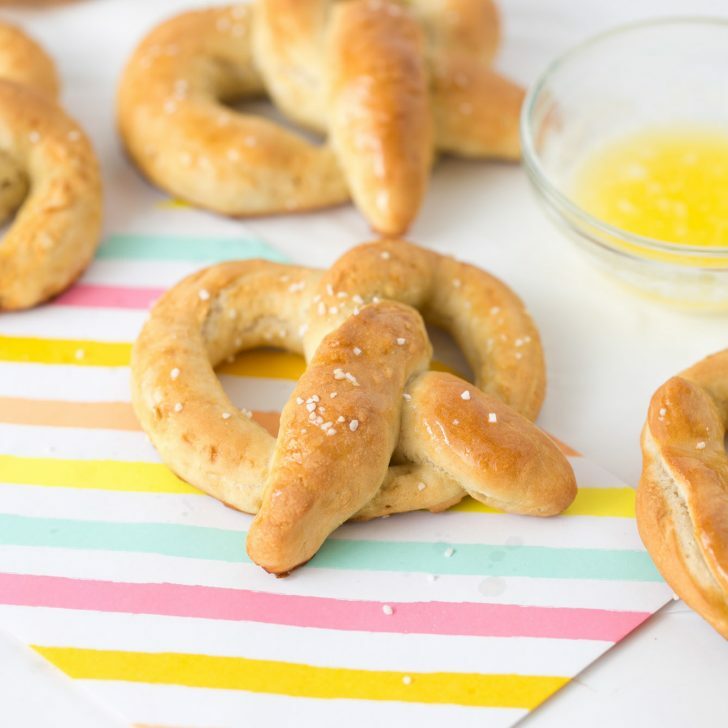 They have a super soft, buttery, yet perfectly-stretchy bread texture that rivals the bakery or cinnabon. 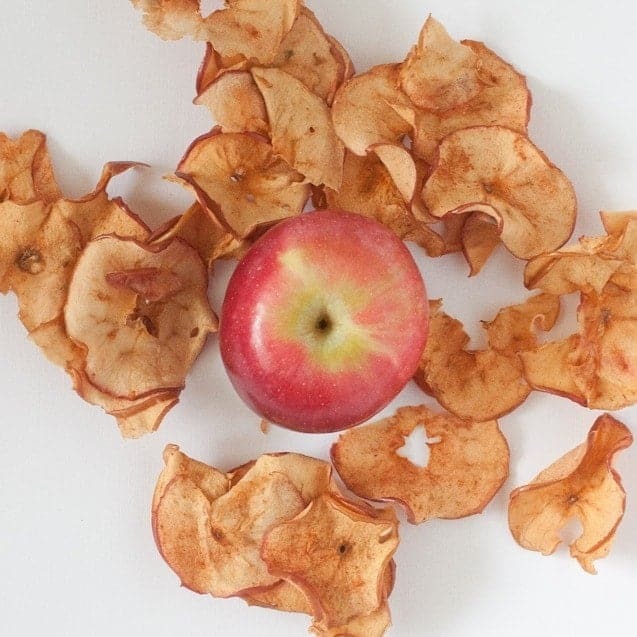 The texture (aside from flavor of course!) was my top priority and these are spot on, if I say so myself. In a small microwave safe bowl, melt butter for 45 seconds. Pour into a larger, medium-sized bowl. Using that same bowl you just microwaved the butter in, pour in milk and microwave that for 45 seconds. Once done, pour that in with the butter. Add in yeast and sugar and stir with a whisk until combined. Cover with a clean dish towel or plastic wrap and let sit for 10 minutes. Once your dough starter has been sitting for 10 minutes, remove cover and mix in egg, salt, and vanilla. Once combined, start adding in flour, 1 cup at a time. You should be able to mix this with a spatula until you get to the end of adding the flour. At that point, you will need to use your hands. Keeping the dough in the bowl, gently form it into a ball. If dough is sticky, sprinkle 1 tablespoon of flour to the outside. Cover and let sit for 10 minutes. While the dough is proofing for 10 minutes, go ahead and mix up the cinnamon filling so it’s ready! To do so, mix together softened butter (if straight from fridge, microwave for 30 seconds), brown sugar, white sugar, cinnamon, and vanilla. As long as your butter is soft enough, this can easily be mixed by hand with a spatula. If your butter isn’t mixing well, you can use a mixer to whip it all together. Set aside. Tip: You don’t want your butter to be super melted (just a little is okay!) or the filling will be more likely to seep through the bottom of the pan and crystallize. 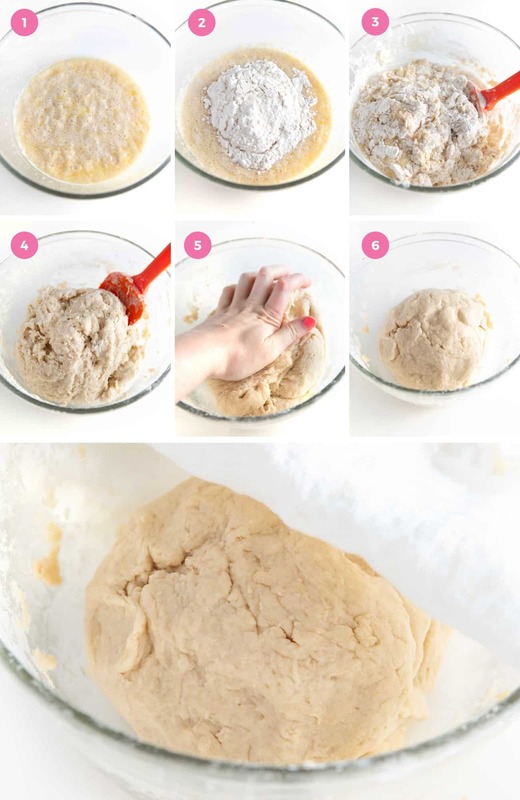 After 10 minutes, remove cover and place dough on a flour-covered surface (about 1/2 – 1 tablespoon flour). I prefer taping down a piece of parchment to my counter, but you can also roll directly on a clean countertop. 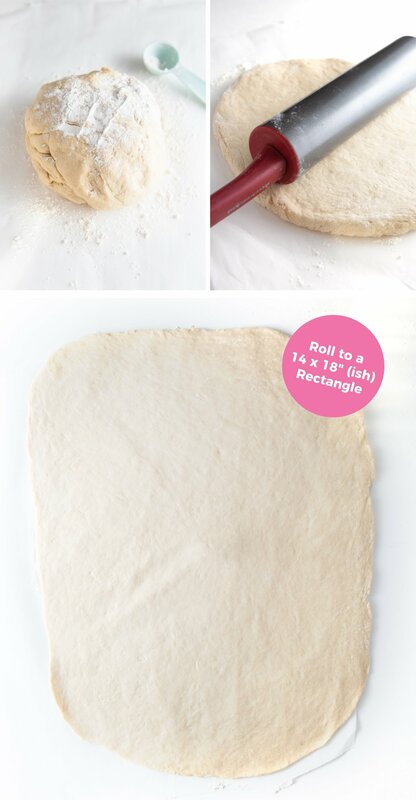 Sprinkle a little flour on top of the dough and on the rolling pin, then roll the dough until it is approximately a 14×18” rectangle that is 1/4” thick. Once rolled, spread on cinnamon sugar mixture making sure to spread to the outside edges. 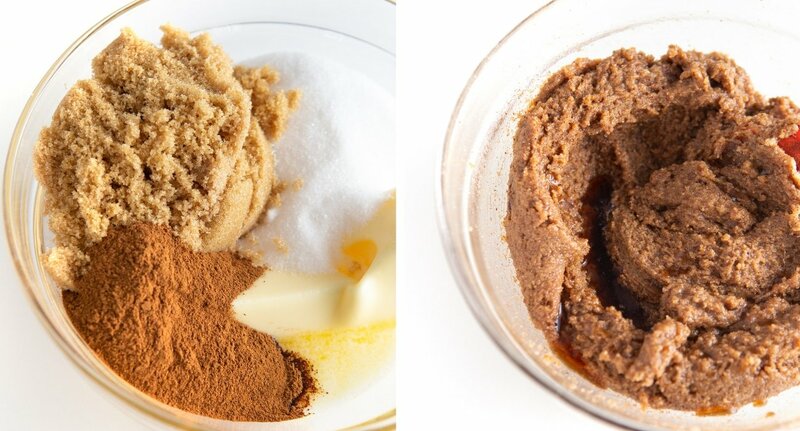 Tip: I like using a mixture of both white & brown sugar as I feel it has the best flavor and doesn’t get too sticky. I tested this with only brown sugar and felt it was too gritty & sticky, while the all-white sugar was too sweet and didn’t have the depth of flavor that brown sugar provides. So I use both! Now it’s time to roll! It’s important to roll vertically (i.e. 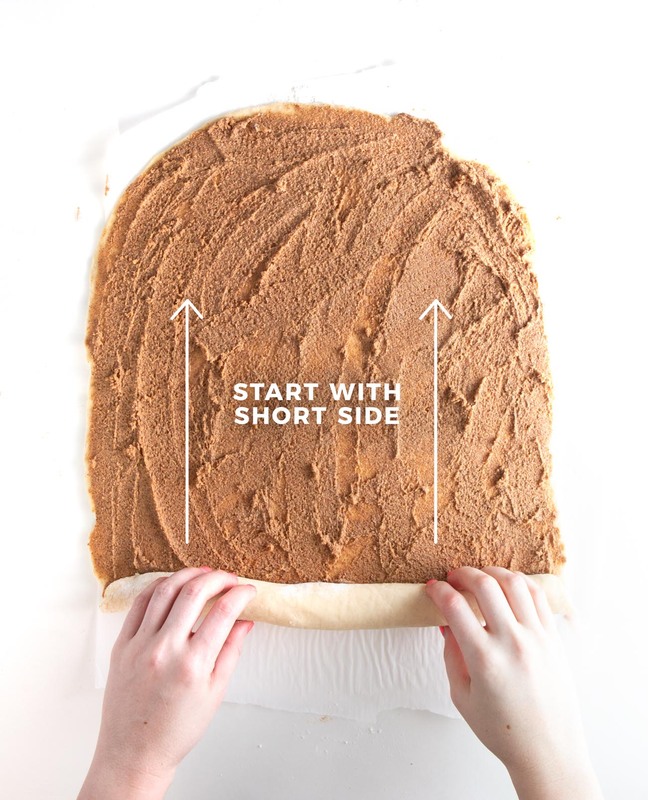 start rolling at a SHORT side) so that your cinnamon rolls are nice & thick and so you can yield 12. If you roll it the other way, they’ll be smaller and a bit dinky. You want to roll relatively tight, but not too tight. Once rolled, use a serrated edge knife to slightly “score” the tops so you know where to cut. Start in the center, then add slits in the center of those and then divide each of those sections into two parts. I know that sounds confusing, so just look at the picture below! Tip: Using a serrated edge knife and cutting slowly in a sawing motion is important, as a normal knife will likely squish the dough. Place cut cinnamon rolls in a greased 9×13 baking pan and bake for 24-26 minutes until the tops are slightly golden brown. Allow to cool for a bit (10-15 minutes) before adding frosting to prevent the frosting from totally melting. If you plan to eat them later, wait to frost until they’re cooled for a prettier frosting presentation. Tip: You can technically split this into two 9-inch round pans, but I prefer 9×13 because you’ll get more soft rolls (as the round pan exposes more edges and the edges will be a little harder). I don’t know about you, but the center rolls are the best ones! 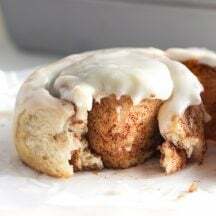 To make cinnamon roll icing: add softened cream cheese, powdered sugar, vanilla extract, and a pinch of salt to a medium-sized bowl and use a hand or stand mixer to mix until combined and smooth (about 30-60 seconds). Slather on warm cinnamon rolls and enjoy! 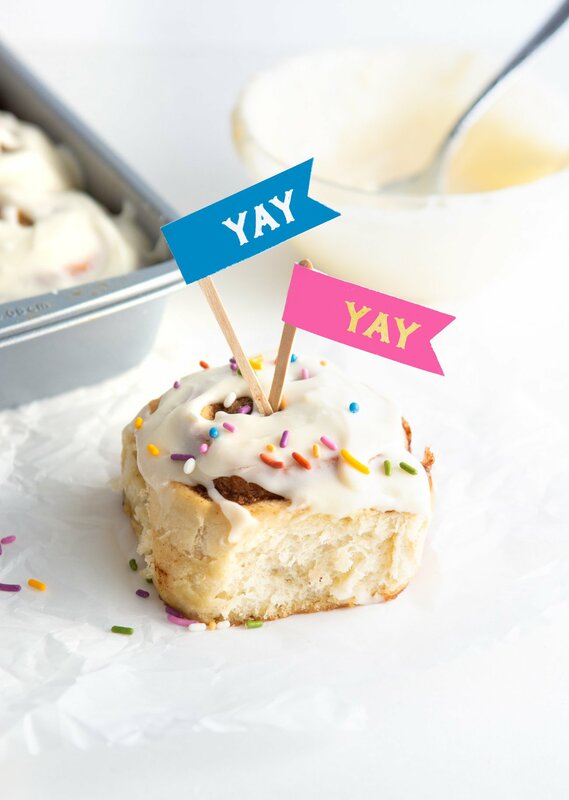 For birthday cinnamon rolls or any celebratory event, add on a few sprinkles because WHY NOT?! 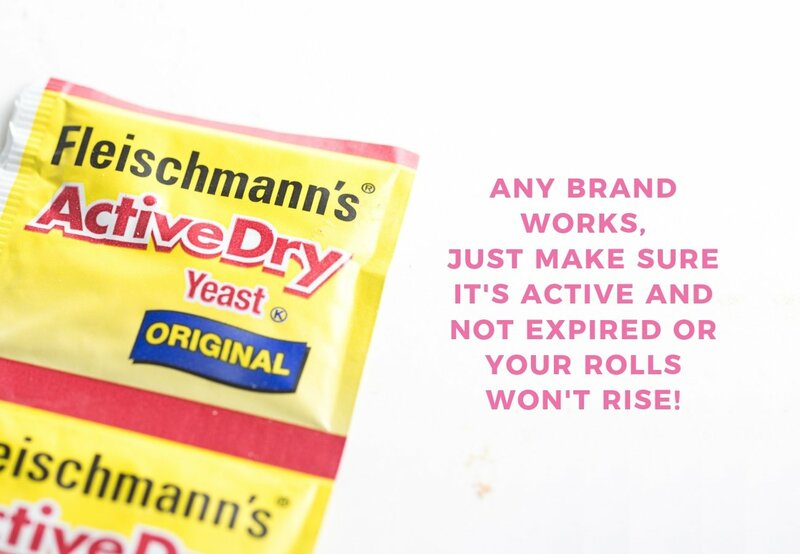 What if I don’t have yeast? Can I substitute something else? 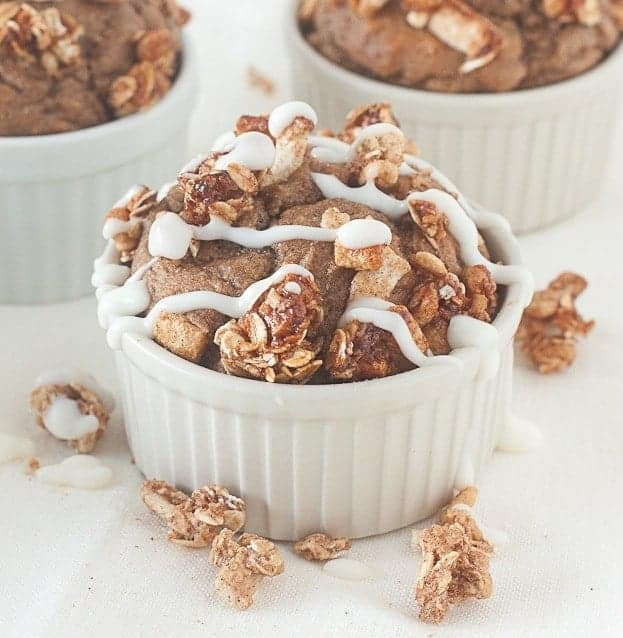 Is there a way to make these “no yeast cinnamon rolls’? The milk definitely gives the rolls a more moist, stretchy, and perfect bread texture. Water will work, the texture will just be a little different. So I definitely recommend using milk when you can! Using 1%, 2% or whole milk is best (or even buttermilk! ), as we want a little fat in there that skim milk doesn’t offer. You can, although they will end up being much puffier than what these photos show (which can sometimes mean they bake faster & are more airy & therefore crunchy). To make the night before: prep the recipe up until baking, cover the pan with a clean cloth or plastic wrap, and let sit out overnight until ready to bake (no refrigeration needed). Can I freeze cinnamon rolls? Freeze Unfrosted, Baked Cinnamon Rolls: Bake, allow to completely cool, thoroughly wrap with plastic wrap, then freeze the entire pan (unfrosted). When ready to serve, allow to thaw to room temperature then place pan in oven (covered with foil) at 400 degrees for 10-15 minutes to warm up. Allow to slightly cool before adding frosting. 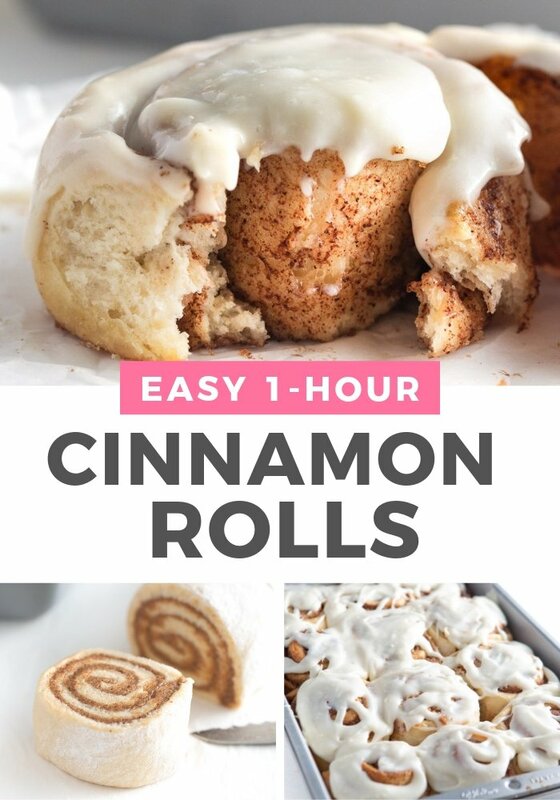 Freeze Frosted, Baked Cinnamon Rolls: You can also freeze after frosting, just be aware that the frosting is going to melt down when you warm them back up. Not a bad thing if you don’t care about presentation! * If using this method, I recommend removing the rolls from the pan and using the defrost function on your microwave. Defrost in 30 second increments until thawed, then switch to the normal microwave mode to heat for 20-30 seconds until warm. 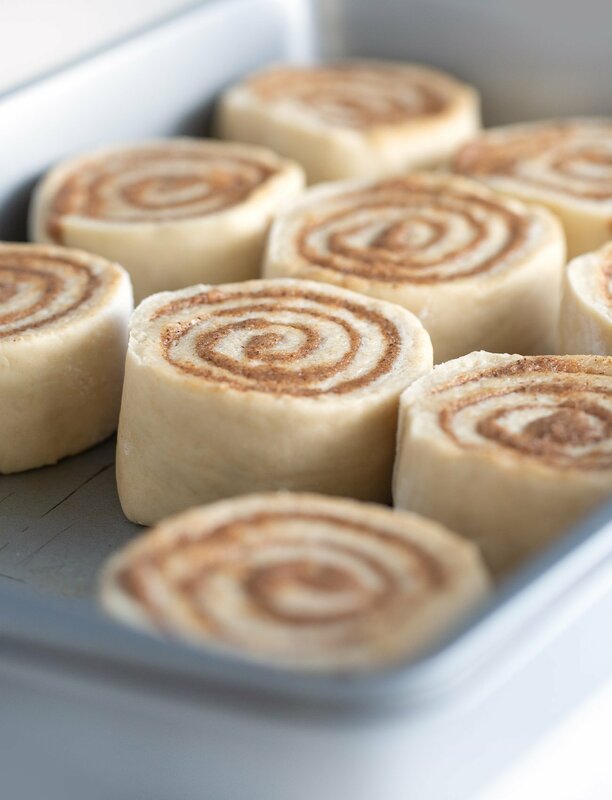 Freeze Cinnamon Rolls Before Baking: After slicing dough and placing in pan, wrap the entire pan thoroughly in plastic wrap. When ready to bake, thaw completely to room temperature (1-2 hours), then bake. Since the rolls will likely raise a bit when thawing, you will likely need to cut baking time down to about 18-22 minutes. If you don’t want to freeze them in the pan, you can just freeze the rolls in the pan for 2-3 hours until they’re frozen & hard then transfer the frozen rolls in a freezer ziploc bag. 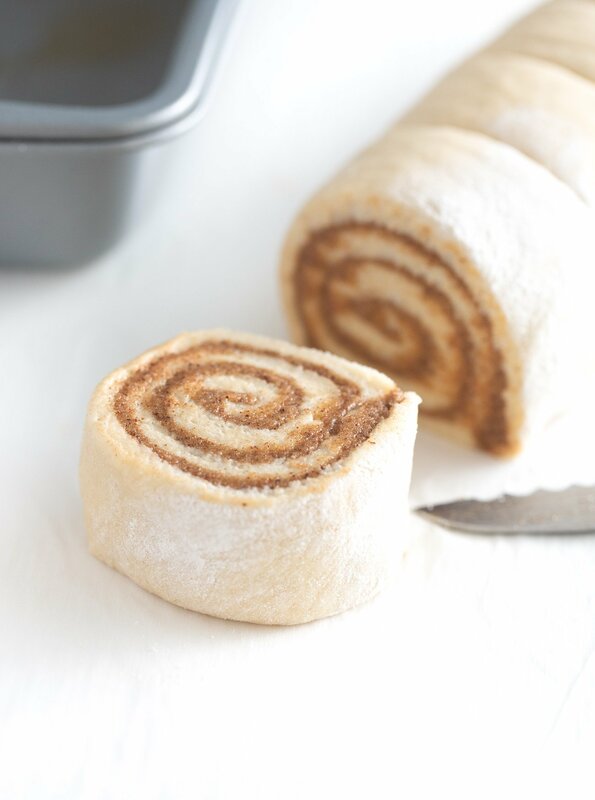 Freeze Baked Individual Cinnamon Rolls: After baking, cooling and frosting, wrap each cinnamon roll individually (in plastic wrap or a freezer ziplock bag). When ready to eat, reheat cinnamon rolls in microwave for 20-30 seconds until warm. 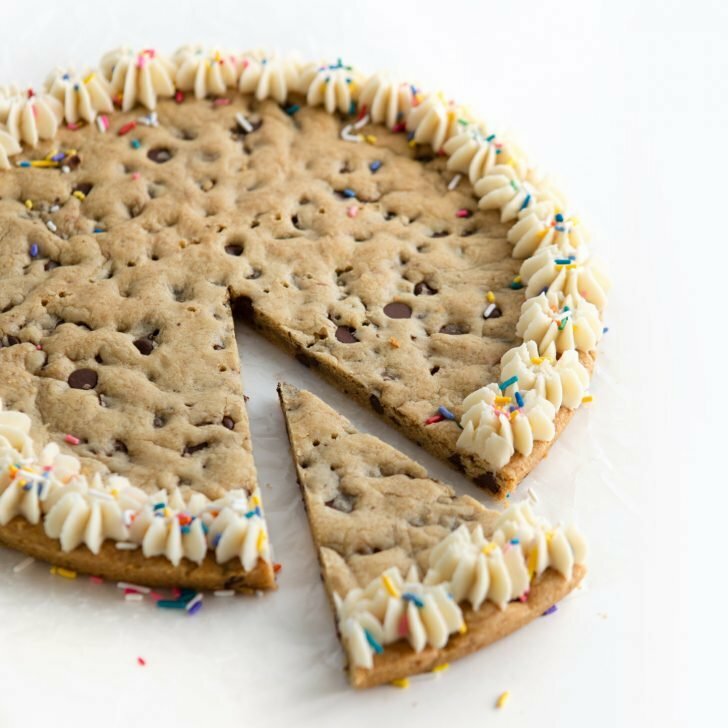 Again, frosting is going to get messy here but this is a great thing to send back with college kids for a quick treat! How to keep homemade cinnamon rolls fresh? 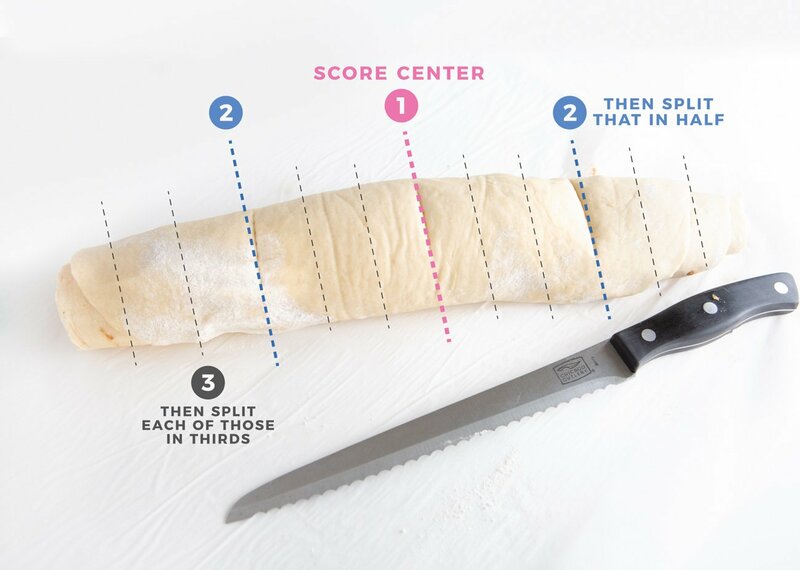 For the freshest rolls, cover pan with plastic wrap or place in plastic bag for 1-2 days. If the rolls are frosted and you don’t enjoy them immediately (like within 2-3 hours), cover and place in fridge. But really, do cinnamon rolls ever last that long? 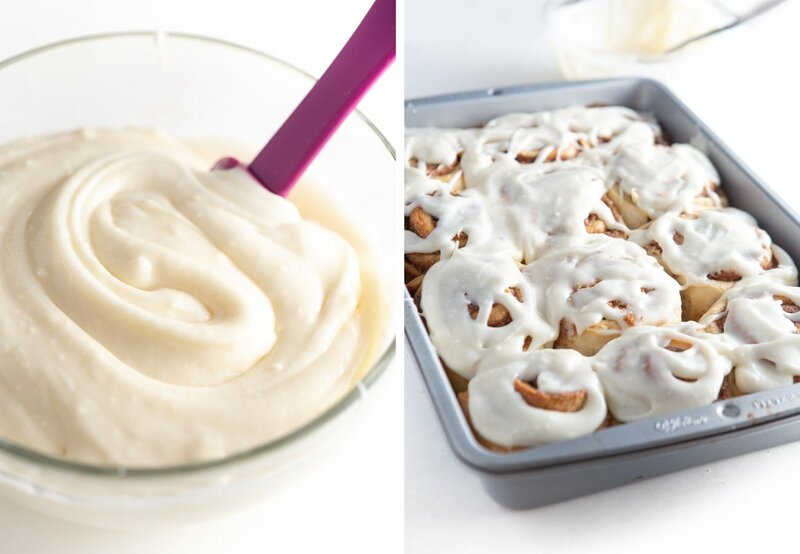 Do you have a cinnamon roll frosting without cream cheese? Yes! See the notes section below for an alternative cinnamon roll icing without cream cheese. I personally prefer the cream cheese one, but this one is good if you like a sweeter, sugary icing. Easy no-rise soft, buttery quick cinnamon rolls made in UNDER ONE HOUR! 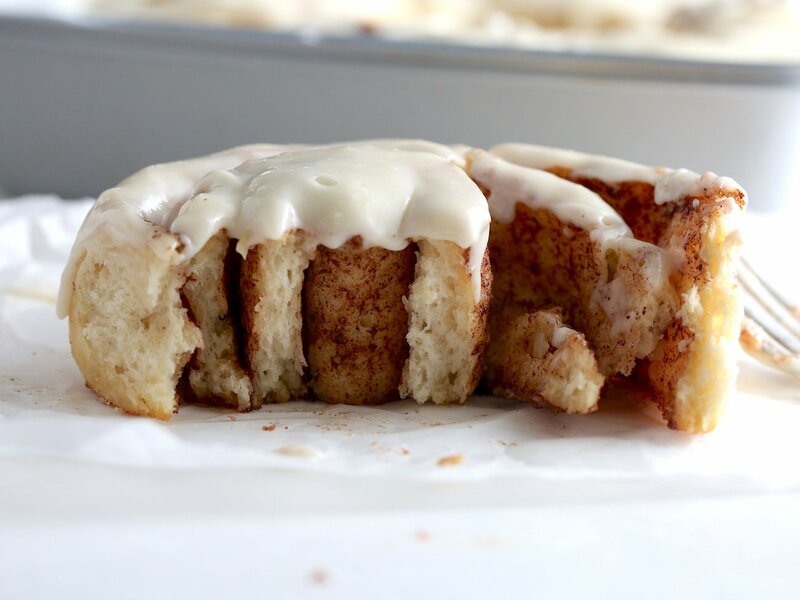 Made in a 9×13 pan and yielding 12 cinnamon rolls, these make for the perfect weekend treat, special birthday mornings, or neighbor thank you gifts! 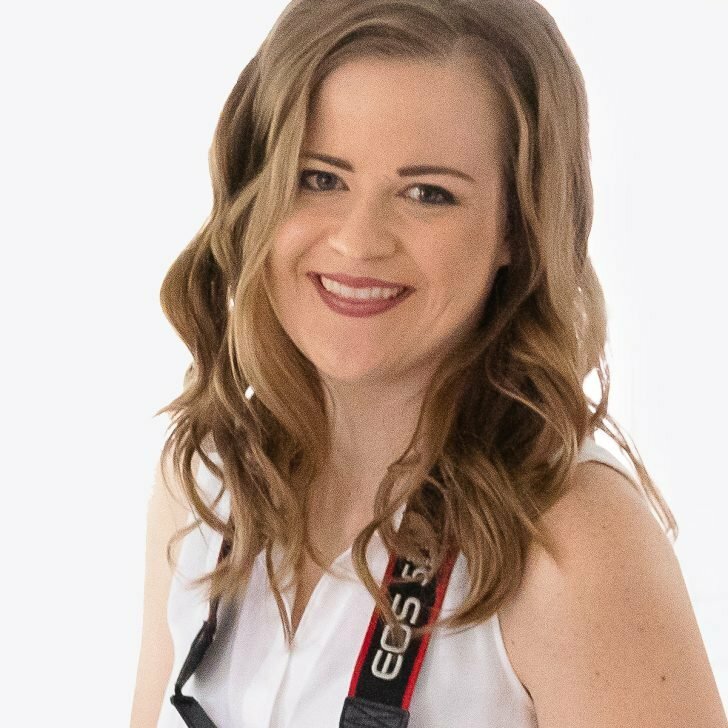 Be sure to view images in post above for visuals for each step! In a small microwave-safe bowl, melt butter for 45 seconds. Pour into a larger, medium-sized bowl. Using that same small bowl you just microwaved the butter in, pour in milk and microwave for 45 seconds. Once done, pour milk in with the butter. Add in yeast and sugar and stir with a whisk until dissolved. Cover with a clean dish towel or plastic wrap and let sit for 10 minutes. Once your dough starter has been sitting for 10 minutes, remove cover and mix in egg, salt, and vanilla. Once combined, start adding in flour, 1 cup at a time. You should be able to mix this with a spatula until you get to the end of adding the flour. At that point, you will need to use your hands. Keeping the dough in the bowl, gently form it into a ball. If dough is sticky, sprinkle 1 tablespoon of flour to the outside. Cover and let sit for 10 minutes (while waiting, proceed to next step to make filling). 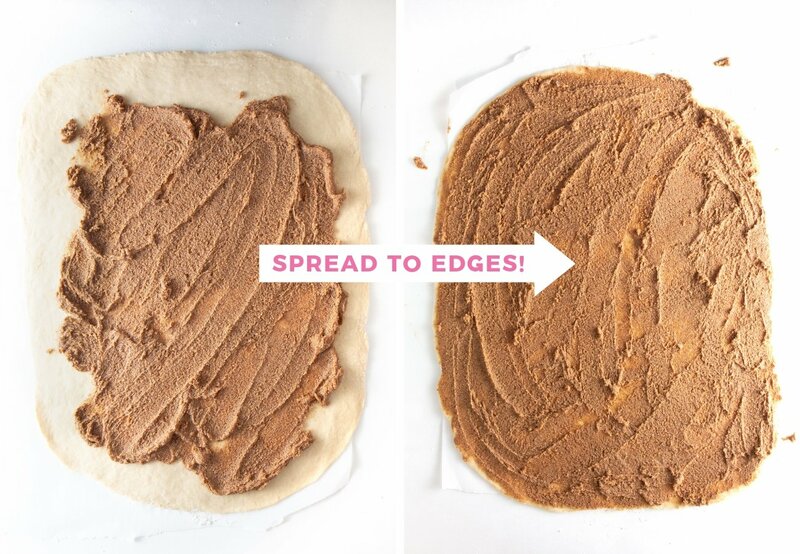 While the dough is proofing, go ahead and mix up the cinnamon filling so it’s ready! 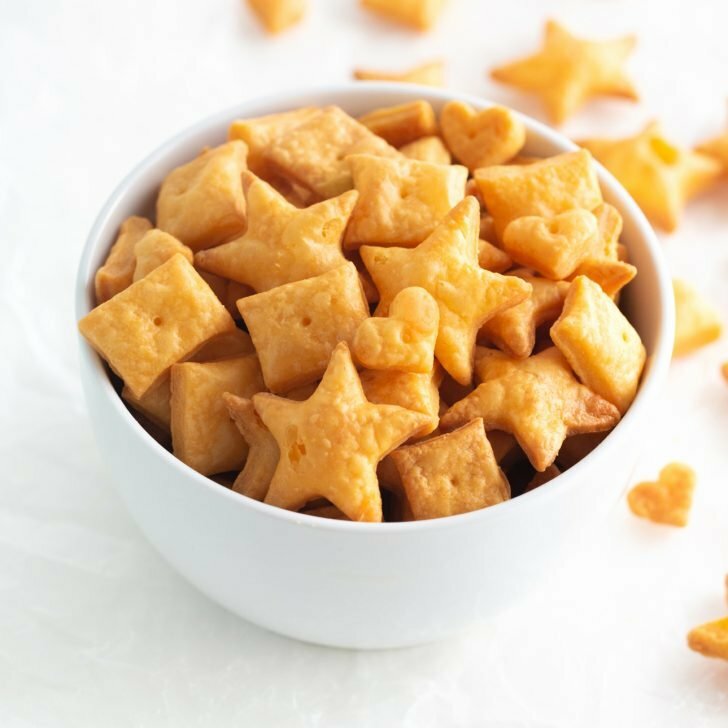 To do so, mix together softened butter (if straight from fridge, microwave for 30 seconds to soften), brown sugar, white sugar, cinnamon, and vanilla. As long as your butter is soft enough, this can easily be mixed by hand with a spatula. 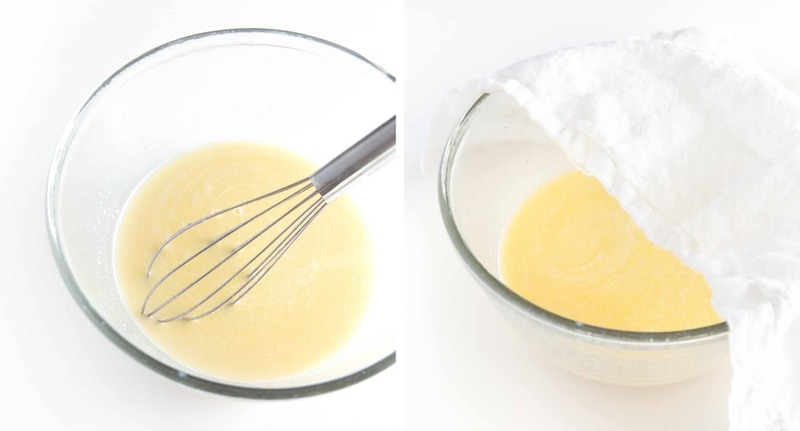 If your butter is too cold and isn't mixing well, you can use a mixer to whip it all together. Set aside. Once rolled, spread on cinnamon sugar mixture, making sure to spread to the outside edges. Place cut cinnamon rolls in a greased 9×13 baking pan and bake at 350 degrees for 24-26 minutes until the tops are slightly golden brown. Allow to cool for a bit (10-15 minutes) before adding frosting to prevent the frosting from totally melting. 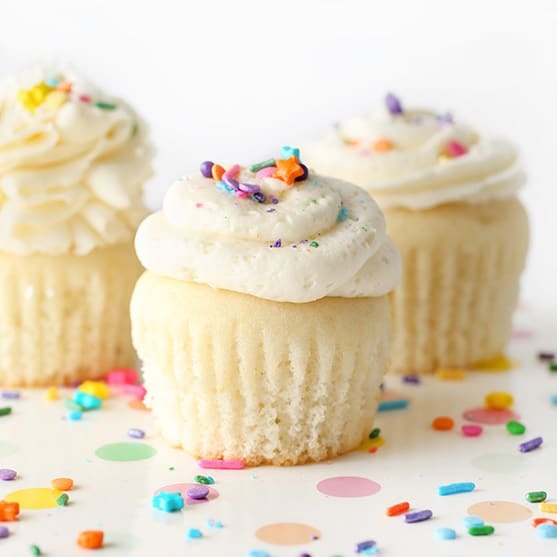 If you plan to eat them later, wait to frost until they’re cooled for a prettier frosting presentation. Pan Size: You can technically split this into two 9-inch round pans, but I prefer 9×13 because you’ll get more soft rolls (as the round pan exposes more edges and the edges will be a little harder). I don’t know about you, but the center rolls are the best ones! Can I make these the night before? You can, although they will end up being much puffier than what these photos show (which can sometimes mean they bake faster & are more airy & therefore crunchy). To make the night before: prep the recipe up until baking, cover the pan with a clean cloth or plastic wrap, and let sit out overnight until ready to bake (no refrigeration needed). Freezer Instructions: See post above for 4 methods for freezing. Storage: For the freshest rolls, cover pan with plastic wrap or place in plastic bag for 1-2 days. If the rolls are frosted and you don’t enjoy them immediately (like within 2-3 hours), cover and place in fridge. But really, do cinnamon rolls ever last that long? Add butter, powdered sugar, vanilla extract, and a pinch of salt to a medium-sized bowl and use a hand or stand mixer to mix until combined and smooth (about 30-60 seconds). Add milk, one tablespoon at a time, until it's the consistency you desire. Gift to helpful neighbors by baking in disposable tin & top with a "thank you" gift tag! This is such a great recipe! 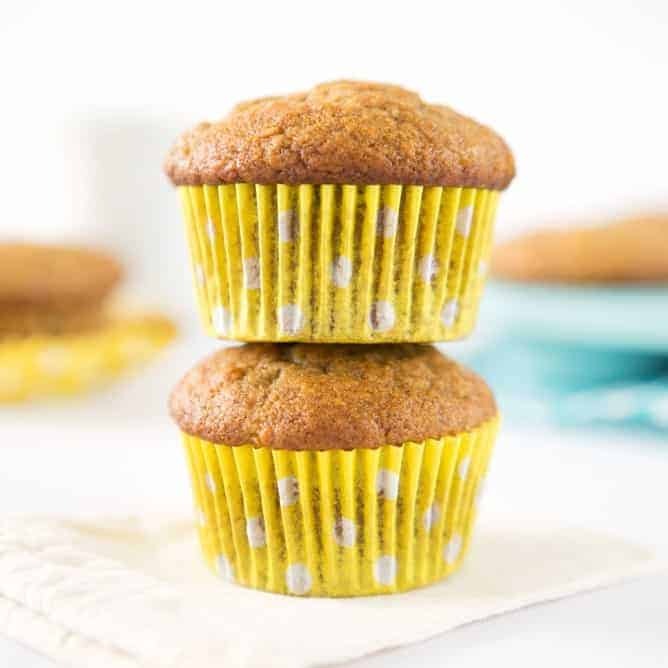 I was getting everything out when I discovered I only had buttermilk – but it worked and these were so good! I think it may have slowed my yeast a little, but a couple extra minutes to bloom was all it took. Tender and sweet and so fast! Thanks for the (almost) instant gratification! FOR THE LOVE OF EVERYTHING I HAVE BEEN DYING FOR THIS RECIPE! True story, two years ago I decided to make cinnamon rolls for all 20 people in our family. I didn’t realize there was a DOUBLE rise so I literally worked on those things till 3 am and I was SO done! im not usually a huge cinnamon roll fan, but these are amazing. The texture and flavour is incredible. 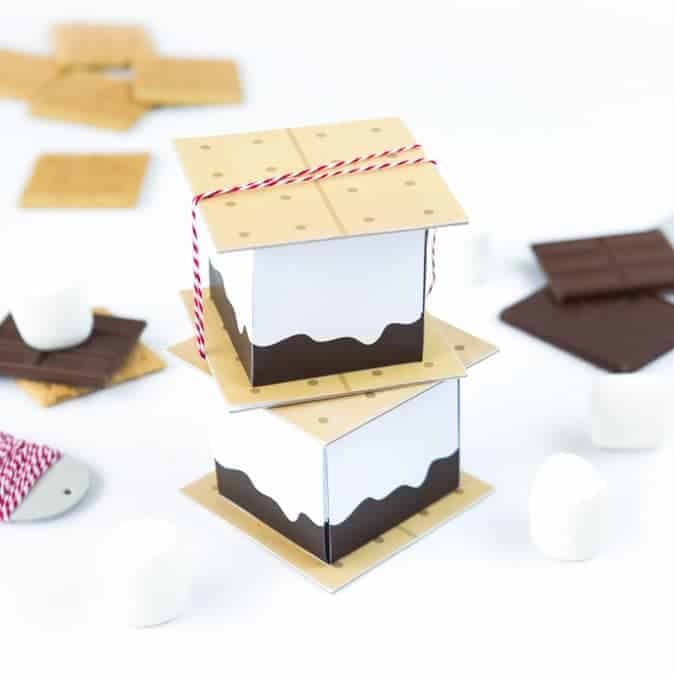 They’re so easy to make.